Categories: Blind Rivets, Multigrip, Rivex® - "Robust", High Retention. The Rivex® is an advanced MultiGrip with increased performance and functionality as compared to standard steel MultiGrip rivets. It is also the only MultiGrip that is offered in stainless steel. Rivex® rivets consist of a wider grip range and a higher shear and tensile strength. 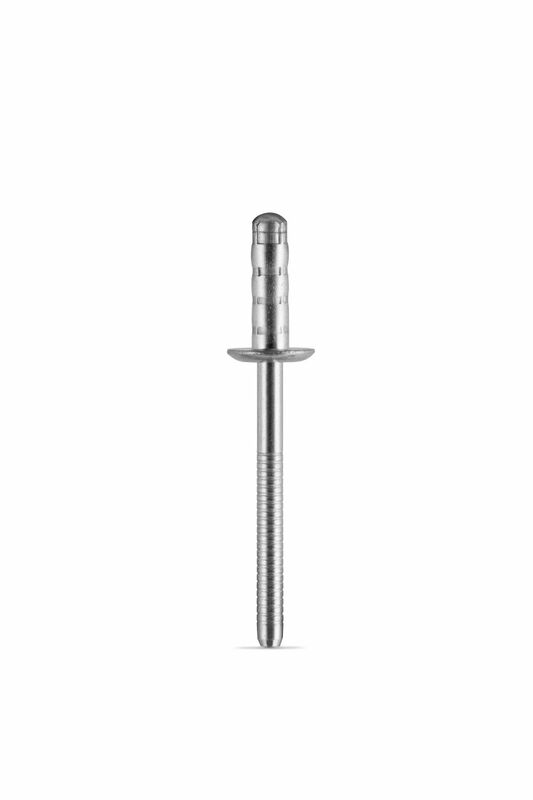 The Rivex® rivets contain an easy entry mandrel head that is grooved and blunt pointed. Its design is rattle resistant and will break flush with the head in the appropriate grip range. Its virtual closed end and flush break mandrel make this rivet leak resistant.